Atelier Alexander was born in city of Vigevano, just 30 km from Milan, but far away from the rush, in an intimate and confidential, using all the time you need, you will learn about the collections and let help you choose models that will make your dream a reality. Come to us with the serenity and awareness to find, along with the dress, all the right accessories that enhance the image of the bride. 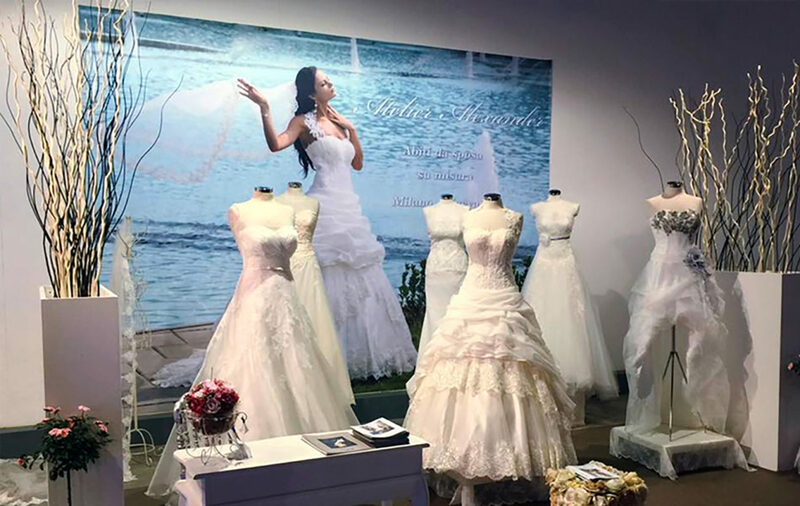 Atelier Alexander is a producer and saler of wedding dresses and ceremony with proven experience, but young as style and taste. Our bridal collections’ express theconcept of a refined woman, demanding and full of life. The bride who wants to please and be the center of the ceremony. Each wedding dress is designed exclusively to measure! The workshop gives you the ability to customize and create the dress of your dreams at prices from 690 to 1590 EUR and over for the most exclusive models. Yes, this is our strength, to maintain the perfect balance between qualityserviceprice and create tailored dresses, made to mesure and customizable. You may also request the creation of a model startin from a drawing or pictures. We do our best to take care of the all details. The bride and her satisfaction is and always has been the center of our attention. With his tastes, preferences, desires to be unique, special and perfect in her wedding day. Come and visit us! We are pleased to present our collections of wedding dresses created with great attention to every detail. There is an Outlety corner in our Milan Show Room where we propose dresses with prices from 490 EUR.